The fact that Boeing’s 787 was named the Dreamliner was really an admission that flying on a commercial airliner had devolved into a horrible experience for many travelers. Just ask Blake Emery, a long-time Boeing psychologist who helps Boeing build planes that made people feel good. I interviewed Blake recently for a story on local innovators. Blake told me that he spent years meeting with people around the world to get into the subconscious mind of airline customer. Blake asked people to draw pictures and cut out images from magazines and build collages to help them recall their happy place. Blake’s goal was to get people to forget about the cramped seats and cattle calls that can frustrate today’s flying public and make flying such a dehumanizing experience. Instead, he wanted them to reminisce about how they felt when they took their first flight. “If people are describing flying in a very magical way, talking about looking at the clouds as if they are flying through heaven, then you have to find ways to help them connect with those clouds,” Emery said. 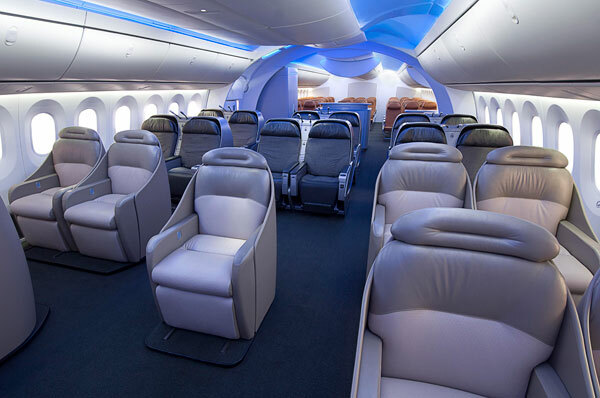 The results helped Boeing shaped the interior design of the Dreamliner, including the bigger windows and dome ceiling that serves as a way to invite people aboard, something Blake said Boeing had been trying to do for year and was even considering redesigning the jetway entrances at airports at one point. It took a group of architects to help them solve that riddle with the design of the interior of the airplane.